Paradoxically, Henry embodies all the skills we hope clients never need to use. Essentially, Henry is our scene of crime investigator, forensically uncovering and analysing information that leads to identifying not just the perpetrator, but also the mechanisms behind the fraud, so that the necessary preventative processes and procedures can be put in place. Henry lives and breathes forensic accounting. Developing his own knowledge and understanding of the subject to a point where he lectures on the subject and regularly advises government departments. He enjoys the challenge of using his mathematics background and skills as a chartered accountant to track down the activities of miscreants and to provide the necessary evidence to bring them to justice. Even so, Henry too, is a family man and loves foreign travel, particularly the challenge of reconciling the expenses from the trip upon return. His best experience so far? The West Indies, while swimming, being propelled by a dolphin through the water. Henry lives and breathes forensic accounting. Yes, we did mean to repeat that. 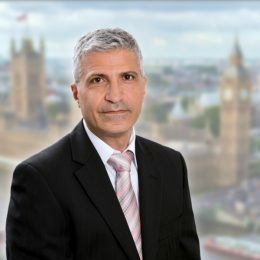 He’s a qualified chartered accountant, a specialist in the theory of forensic accounting and the UK’s representative at the internationally recognised Institute of Certified Forensic Accountants, a professional body for those committed to the development of the multidisciplinary profession of forensic accounting. Technology plays a big part in Henry’s forensic activities and Blackhawk’s attention to this aspect of his work is one of the main reasons he joined. Once criminals have been tracked down and their activities laid bear, he enjoys nothing better than delivering the evidence in court for both civil and criminal cases.